Find out how YOU can easily churn out one professional eCover after another for every new product you have and feel sorry for others who didnt discover this easy, low-cost alternative which can be responsible for saving themselves hundreds of dollars from feeding hungry, greedy graphic designers or buying expensive eCover Creator Tools that dont give you desired results! With prospects waiting to be customers on the Internet, they cant touch or feel anything digital in nature letting alone taking a peak into them! And first impression is so crucial, it can very well be the deciding factor between YOUR product and your competitors. Since your prospect cant even get the icing of the cake and that he has to choose ONLY ONE product, which one would he choose? You certainly DONT want to lose a lot of potential sales simply owing to lousy-looking eCovers you use for your product no matter how good your sales letter may be, because the bottom-line is that your prospects are seeing your digital product at a glance, and it takes a good 5 seconds for your prospect to either stay or turn away. Another school of taught says that if youre going to be in business, dress in a business manner! After all, dressing your product well by giving it a professional looking eCover goes to show how serious you take your business and your prospects will be able to tell that, consciously or not. Look, the truth is that, wed like to buy what we CAN see, though digital products cant be touched or felt unlike tangible products. Hire a Graphic Designer. You can hire a graphic designer to get the job done for you... that is, if you dont mind forking out at least $99 for having one professional eCover done for you. And that is only ONE. I dont think this what you REALLY want, right? Lets check out your next option. But the question is: can you produce PROFESSIONAL eCovers that youve been wanting so badly? Whether you like it or not, you still need to have a certain degree of graphic designing skills to utilize eCover Creating Programs. In addition, more often than not, you will just NOT like the results you get from using these programs. I know it because Ive used it myself before. ... because in my manual, I give you the brains of a professional graphics designer, presented to you in laymans terms, which is ideal especially if youre not a techie person by nature. And most importantly, I show you how you can easily make your own expensive-looking eCover in just a few minutes (not more than an hour). 1. How you can create your own professional eCover in less than an hour! All you need is Adobe Photoshop program installed in your PC. You dont need to engage a graphics designer or even use any external plug-ins or third party software in the process yet I show you how you can still have your own quality eCover designed to look as expensive and exotic as possible - whether your product is selling for $10 or $1,000! 2. The secrets to creating a realistic eCover! Learn what most average eCover designers dont know that YOU should know - because this is what will part you from the rest of the crowd and can very well be responsible for making you the next expert graphic designer! 3. How to print on the cardboard and fold it! 4. Additional techniques that will put you years ahead of other graphic designers who are charging at least $99 for an eCover! invest a sum of your money into buying an eCover Creating Software! My manual is written in plain, simple English that almost anyone can understand. No need to crack your head in a few different places in the process! And the good news is that my manual isnt going to cost anywhere near as much as the program, which you will be delighted to find out soon. Check Out Some Of The eCovers You Get To Produce With The Benefit Of The Unique Information Found In Create Your Own Professional eCovers With Photoshop! At this point, Ill let some of my happy customers show you their wonderful eCovers that they have created as a result of using my manual. Thats right. All of the above eCovers were creating solely with Photoshop. No graphic designers have been hired, no third party software have been used and certainly no animals have been harmed in the process. So, are you still skeptical? Since Im giving you the brains of a professional graphic designer, translated from technical language into simple English - the one who is charging hundreds of dollars per eCover done - then this information may be well worth hundreds of dollars to you, too! I know. This manual is only 25 pages long but the bottom-line is that the manual contains NOTHING BUT ESSENTIAL INFORMATION you need to create your own professional eCover - easily and professionally - in just minutes. I also know that your time is too precious to skim over hundreds of pages, packed with technical jargons you might never get around understanding. On the other hand, you may also be reluctant to pay SO MUCH for just one measly eCover done. For all I know, you have a range of new products waiting to be sold in the Internet marketplace but their cover-naked right now! That, my friend, is the basis of my manual, Create Your Own Professional eCovers With Photoshop!. Thats nowhere near as much as hiring a graphic designer or acquiring a software to do the job for you for that matter. And consider the fact that with the same knowledge learned once, you can produce UNLIMITED quality eCovers for your own! Yes, thats right. But Im not really done yet. Ill add more to this offer. Take the lazy mans way with 3D BOX Photoshop Action and get your flat design molded and developed into your desired, professional eCover in next few seconds simply by loading and running these action scripts into your Adobe Photoshop program! Right. You get all of the above-mentioned bonuses worth $57 in total together with your purchase of Create Your Own Professional eCovers With Photoshop! - all these for only $27! Now, Ill conclude this entire deal with a guarantee that will press you to take action NOW. 100 SATISFACTION GUARANTEE - OR YOUR MONEY BACK! Get Create Your Own Professional eCovers With Photoshop! right now. Read it. Apply the techniques found within this manual. 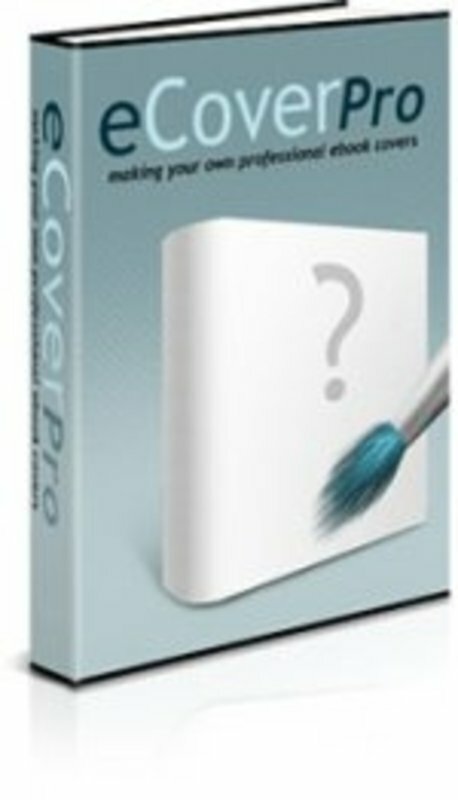 Create your own professional eCover in one hour. If, for any reason, you are not satisfied, or you still fail to create your own first professional eCover, delete the manual from your computer, send me an E-mail, and I will personally refund every cent of your money, no questions asked. You may keep the bonuses, however. I am that confident of the results you can achieve from benefiting from the unique information found in my manual because I know that once you discover how powerful the information in my manual is to you, you will be too busy making your own eCovers for your products that youd ditch the idea of asking for a refund! P.S. Finally, you can now ditch the graphic designer and put them out of their job because you can now create your own eCovers easily and profesionally in a matter of minutes even if youre not born a techie person! P.P.S. Is $27 cheap? Of course it is! Or would prefer to spend hundreds of dollars hiring a graphic designer to do the job for you? Furthermore, you may not be happy with the results and that if you want to make adjustments to your eCoers, you may have to spend more time and maybe more money calling your designer back to work. Is this what you really want?